"a brave new dawn for the British underground." "the soundtrack to a terrifying waking dream." "a stellar prospect for the UK extreme metal scene." 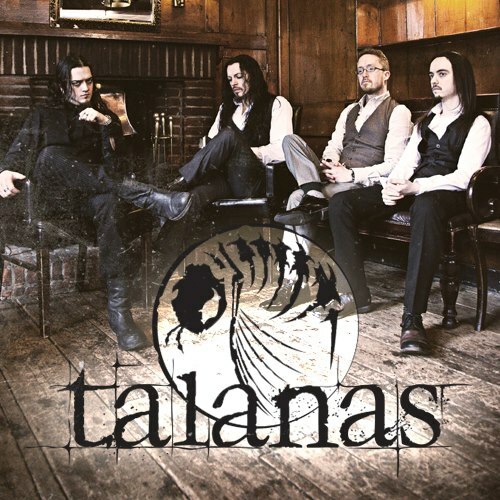 Combining all the ferocity of extreme metal with atmospheric soundscapes influenced by the more esoteric leanings of the 80s & 90s mainstream, with inspirations ranging from Suffocation to Scott Walker, talanas made their stamp as "death metal's gentlemen" with the debut 'reason & abstract' EP in August 2010. It was a bit like having a large, well dressed Alsatian (held on a leash by Monica Bellucci) yell at you for nearly half an hour. Following all this ruckus, in May 2011 they released 'the waspkeeper' – 11 tracks of dark, innovative savagery available through Eulogy Media (Dām, For The Blind), with which they further coined a sound that Zero Tolerance magazine has described as "thinking man’s metal for the next millennium". This means it's rather good. Realising that whilst manners maketh the man, a new album (and, more importantly, the tea) won't make itself, the chaps have stocked up on dark ales & light biscuits (nothing worse than a tight waistcoat) and re-entered the studio to prepare their next hamper of sombre, brooding doom-cakes entitled 'daylight'. who knows, maybe this time they may finally crack the secret to receiving the worlds first lapdance souchong. West Midlands quartet RANNOCH offer a refreshing take on the progressive death metal subgenre with focused extremity, fastidious technical precision & rich songwriting skills. Swathes of ethereal clean vocals & acoustic guitars accompany sledgehammer brutality & savagely intense screams, echoing a sombre selection of lyrical influences from Lynch to Danielewski. Forming in 2007, founding member Ian Gillings masterminded a sound that presents a distinctly home-grown slant on musical extremity, referencing such artists as Ihsahn, Opeth & Depeche Mode. Early concepts resulted in the ‘Rorschach’ demo, providing a raw yet evidently considered balance of melody and harshness. 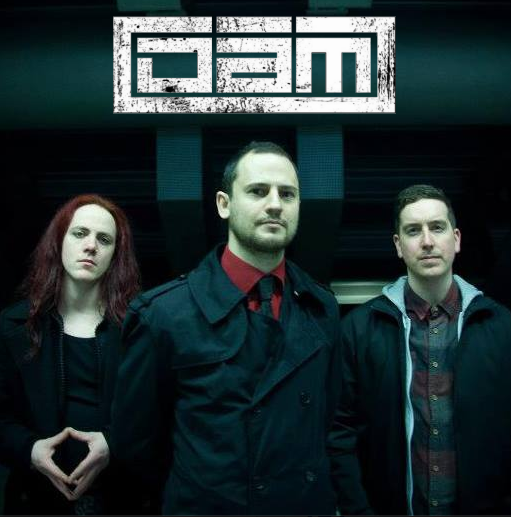 Following an encouraging reception to their initial demo and confirming the four man lineup as it stands today, 2008 saw the release of the self-produced debut EP ‘Talamh Màthair’, gaining an overwhelmingly positive reception in the press and securing a string of live dates that would result in Rannoch winning the West Midlands finals of Bloodstock Open Air Festival’s New Blood Stage competitions. Appearing in the 2011 lineup of Bloodstock Open Air Festival, the band featured alongside a stellar bill that included Morbid Angel, Immortal & Motörhead. In addition to filming their pummelling live set on the New Blood Stage, the band were also invited to perform an exclusive unplugged set on the festival’s Jagermeister stage, receiving a notably welcome reception. 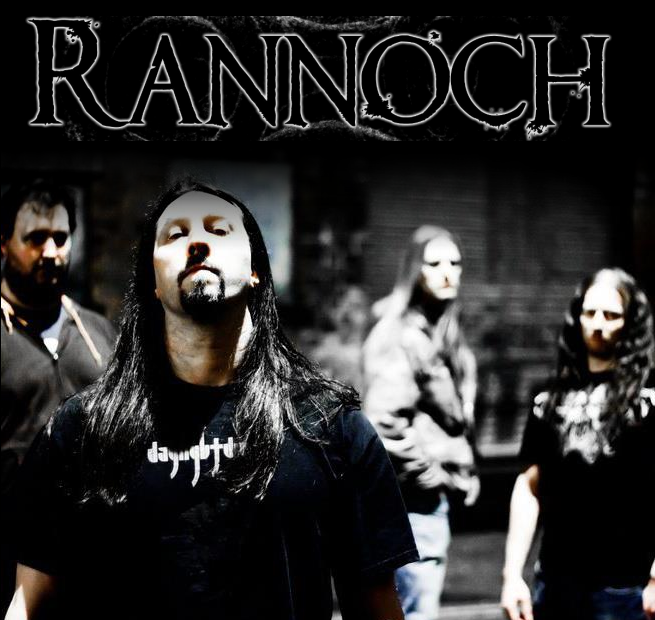 Following rave reviews for past releases ‘Rorschach’ & ‘Talamh Màthair’ (in publications such as Terrorizer & Metal Hammer) and a blistering set at the UK’s Bloodstock Open Air festival, RANNOCH now tender the next stage in their repertoire with ‘Between Two Worlds’. Proudly making use of the full tonal range in their twin 8 string guitar attack, thundering live drums & muscular bass, this self-engineered full length album features mixing & mastering from Stymphalian Productions’ James Stephenson (Fallen Fate, Rezinwolf, Arcite), having been recorded at a studio co-run with fellow Midlands death metallers Hærken. Conceived as a ‘virtual vinyl’, ‘Between Two Worlds’ is presented with an A/B side approach to its arrangement of tracks and features guest vocals from Hærken’s Laird Logan and Hal Sinden of talanas. The piece will become available from November 28th 2013 (the birthday of William Blake) through British alternative label Eulogy Media (Talanas, Dãm, Beth Ryan). internationally touring choirs as a lead soprano or getting muddy and lost in my home county of Kent, I'm now working on my own material involving the darker aspects of alternative music as well as the more established acoustic music scene. Currently residing in Camden, London. 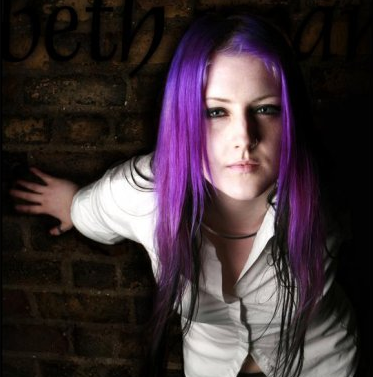 Inspirations vary from Evanescence to Devin Townsend, Sting to Anathema, Cynic to Lamb, Esben and the Witch to Evi Vine. Dãm take the death metal bulletpoints and tear them up. They grab Morbid Angel, Killing Joke and Meshuggah and pile them all together to create their unique sound. Born in the dark days of London's metal underground, Dãm celebrate the absurdity of existence in appropriate expressions of disgust. Having unleashed their 2005 debut "Purity [The Darwinian Paradox]" and followed it with the critically-acclaimed 2007 sophomore opus "The Difference Engine" on Candlelight Records, Dãm vomit a further outrage through repeated exorcism, whose scheduled manifestations are yet to be determined.